A. The name of all applicants shall be published to the membership. If no objection is received within thirty (30) days after publication, in writing, the applicant is deemed accepted. B. If an objection is received within thirty (30) days, the application will be held in abeyance until the applicant submits a written reply to the objection or appears in person at a board meeting to answer personally. If no written reply or waiver of right to reply is received, the application shall be considered rejected. Any applicant or member, who, because of hardship, is unable to pay dues in full, may in writing, request the Board to grant a reduction or delay payment. The Board may take whatever action it deems appropriate in each case. Upon completion of their term in office, any officer or committee chair that refuses to release any and all NYSPPA records, files and lists on demand shall be subject to the NYSPPSA disciplinary procedure. (c) The panel shall render a majority written decision on the merits of the dispute and separate majority written decision on proposed sanctions, if any, and send the written decision(s) together with any dissents to the parties. (b) The Chairperson shall notify the President of any appeal. (c) If an appeal is filed, the decision(s) of the grievance panel is stayed pending resolution of the appeal. (d) If such appeal is not filed timely, the decision(s) of the panel shall be final; however the Board at its option, may accept a late appeal. (e) The Chairperson shall submit the appeal and all documentation to the Board at the next regularly scheduled board meeting for a ruling, which ruling shall be deemed final and not subject to further appeal. A. The President shall appoint a chairperson to handle all matters involving grievance and arbitration. B. Any member who has cause to complain that a member of the NYSPPSA has violated a provision of the Bylaws or Code Of Ethics (Cannons) may submit their complaint to the chairperson in the manner prescribed in this policy manual. In the case of a non-member, said procedure will be explained and the proper forms sent to the non-members complainant, by the chairperson or the person appointed by the chairperson. The non-member shall not be allowed file a non-payment complaint. C. Complaints regarding the non-payment of bills shall be made pursuant to the procedures in this policy manual. D. Should the Chairperson be involved in the complaint, the grievance shall be submitted to the President who will serve as, or appoint, a temporary chairperson for that matter only. E-1. The complaining member (hereinafter referred to as "complainant"), after taking reasonable steps to collect a debt which is now ninety (90) days delinquent, shall send and original Notice Of Pending Complaint to the non-paying member (hereinafter referred to as "Respondent") by regular mail with a copy to the chairperson. E-2. If the payment is not made within fourteen (14) days of the date of mailing of the Notice of Pending Complaint, the complainant may file a complaint by submitting the following document to the chairperson: (a) the original Nonpayment Complaint signed by the complainant; (b) a copy of the Notice of Pending Complaint; and (c) all supporting documentation. E-3. All complaints pertaining to the Grievance & Arbitration shall be on a form prescribed by the Board and shall be available in the membership directory or by contacting the chairperson. E-4. There shall be a three hundred sixty five (365) day "statute of limitations" on uncollected bills from the date of the original invoice. No member is prescribed from pursuing other means to collect past due bills. F. Procedure for Filing Unethical or Unprofessional Complaints. F-1. 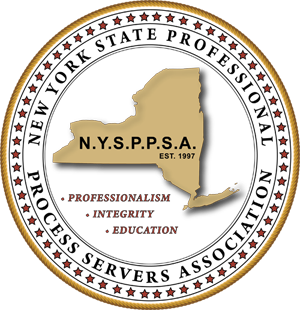 Any member who has cause to complain that a member of the NYSPPSA has violated a provision of the Bylaws or Code Of Ethics may submit to the chairperson a written complaint containing the sufficient particulars of the grievance along with all supporting documents. F-2. The chairman may appoint a neutral third party member to try to resolve the dispute of the parties. This third party shall maintain a written record and attach the record to the complaint file with any resolution of the dispute. If a settlement cannot be reached, the grievance procedure shall continue as outline on section g of this policy manual. F-3 Any member whose membership has been suspended by the Board of Directors shall be notified in writing by the Board of Directors of said suspension and the reasons therefore. A hearing shall be scheduled at the next regular meeting of the Board of Directors to be held 30 days or later subsequent to the postmark date of the notification letter. The chairperson of the Grievance and Arbitration Committee shall preside at the hearing and a recommendation shall be rendered by the committee for a final decision by the Board of Directors. G. Procedure for All Grievances After Submission to Chairperson. G-1. The chairperson will send a copy of the grievance to the respondent who must serve a reply together with all supporting documentation upon the chairperson. The reply must be received within fourteen (14) days from the date of the Chairperson's letter containing the complaint. If no reply is received, Respondent is then in violation of Policy 4, Section 1. G-2. The chairperson shall send a copy of the reply top the complainant for rebuttal. G-3. Any extension to serve a reply, due to exceptional circumstances shall be at the sole discretion of the Chairperson. The party requesting an extension must contact the Chairperson by telephone prior to the expiration of the time to submit the reply, and must state the reason for an extension. G-4 Following the receipt of the response and rebuttal, the Chairperson shall submit the matter to binding arbitration. G-5 Should the respondent fail to appear as required under Policy 4 - Section G, the Chairperson shall submit the matter to the Board Of Directors. H-1. After all procedures have been followed as prescribed in Policy 4, Section G, the Chairperson shall submit the matter to binding arbitration before a panel of three members, randomly selected by the Chairperson. H-2. If the dispute is monetary, the Chairperson shall determine the amount of funds to be deposited with the Treasurer, who will place the funds in an escrow account. H-3. (a) The Chairperson shall provide each member of the Panel with a copy of the pleading. (b) The panel shall make a ruling on this written record but shall have the right, in its sole discretion, to request from the parties additional materials, clarification of information, supplemental information, etc. H-4. (a) Either party may appeal the decision(s) of the grievance panel by filing, within fourteen (14) days of the postmark of the decision(s), a written appeal with the Chairperson together with a statement of the reasons supporting the appeal. H-5. Upon notification of the outcome by the Chairperson, the Treasurer shall make the necessary disbursement of any funds held in escrow. A) Nominations for all elected officers and directors shall be solicited from the general membership. Said solicitation shall be in writing or by electronic transmission to all regular members and shall contain a list of all offices to be elected at the annual conference, the required qualifications for each office and a nomination form and must be sent at least 60 days prior to the annual conference. Self nominations are acceptable. B) In order for any nomination to be valid, the nominee must meet all of the requirements for the office to which they are nominated. The nominee must be present at the annual conference for the nomination to be valid. In the event of the absence of the nominee and in order for the nomination to be valid, a signed and notarized letter from the nominee stating that he/she will be willing to accept the office if elected must be in the hands of the Secretary of the Board of Directors prior to the election of officers. Nominations from the floor for each office may also be accepted.